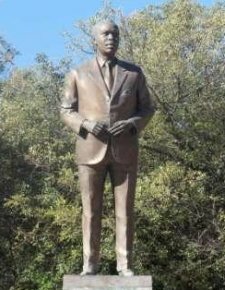 Sir Seretse Khama, the first president of Botswana, was born on 1st July 1921 at Serowe village. Serowe is the capital of the Bamangwato people and central district. Seretse was born as heir apparent to Sekgoma II, ruler of the Bamangwato between 1923 and 1925, and Tebogo, daughter of Kebailele. He was the grandson of Khama III - the greatest Bamangwato ruler who brought many Batswana people together while on the throne, before he died in 1923, with Sekgoma II taking over. In Setswana the word 'seretse' means 'mud', but when used as a name here it was understood more as referring to the 'clay that binds'. When Seretse was given the name it was not in vain. The name was given in reference to his coming on during a period of turmoil in the royal family, a state that was to become a repeated theme all throughout his life. But more precisely he was named Seretse to celebrate the recent reconciliation of his father and grandfather Khama III. It was this reconciliation that assured Seretse's passage to the throne when his father died while he was only 4 years old. Seretse was a man born to bring people together (both in and outside Botswana) as he did when he finally ascended to the presidency. 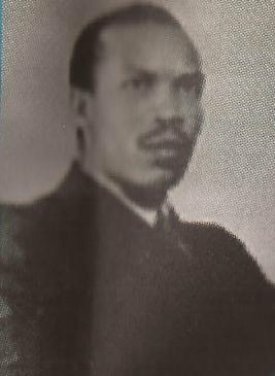 With the passing on of his parents - his father Sekgoma in 1925, and mother Tebogo in 1930, Seretse remained in the care of his uncle Tshekedi Khama who ruled the Bamangwato on his behalf. Since he was too young to rule, his uncle took over as regent and guardian with the intention of Seretse taking over when he was of age. 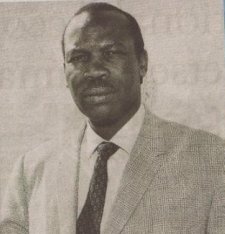 Seretse Khama was generally away from home for most of his young life, as he attended boarding schools and eventually travelled overseas. He received his primary and secondary school learning in two of the prominent schools in South Africa - Lovedale and Tigerkloof. He went on to earn his general bachelor of arts degree in Fort Hare college in the same country in 1944. He then studied law at the University of Witwatersrand in South Africa, then proceeded to Balliol College in Oxford, England. Finally he took up Barrister studies at Inner Temple in London in 1946. 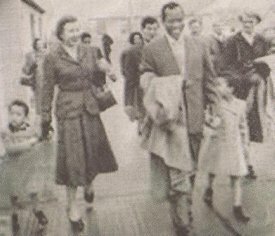 While in London Seretse Khama met Ruth Williams in 1947, the daughter of George and Dorothy Williams. Ruth, born in Blackheath in south east London on the 9th December 1923, was at the time pursuing a financial career and immediately later became a Clerk in Lloyd's - the acclaimed global insurance broker. In 1948, after a year of courtship, Seretse and Ruth got married, unbeknownst to his family and people. Of course, on knowing this there was uproar in his family, but Bamangwato people were happily receptive of the news. Leading the expression of displeasure was none other than his uncle Tshekedi Khama. It got worse when the apartheid minority of South Africa got wind of the news. Botswana, then Bechuanaland, being a neighbour to South Africa felt Seretse Khama had flouted the social and racial code. Interracial marriages were banned under the apartheid system and South Africa was not happy with an interracial couple ruling from within close quarters. When in Botswana the couple was resident in Lobatse, a town only 2km from Pioneer border gate to South Africa. It was in Lobatse where Seretse and Ruth had their first child Jacqueline Tebogo Khama born on 15th May 1950. Neighbours Rhodesia (now Zimbabwe) and South Africa - countries with white minority rule groaned the loudest thereby putting the Uk's Labour party-led government under pressure to bar Khama from chieftainship. When Tshekedi heard of the marriage he demanded Seretse's return home and instructed the marriage be annulled. Seretse returned home with Ruth who was warmly welcomed by morafe (tribe) as Mohumagadi (Queen). The morafe's liking and receptiveness of Ruth led to their resistance to Tshekedi's efforts to ban Seretse, and in turn Tshekedi admitted defeat by Seretse and fled into self-imposed exile. In 1949 further endorsement of the couple was made when Seretse got reaffirmed into his role as Kgosi (Chief) by the elders. Afterward Seretse returned to London to complete his studies; but whilst there more problems arose. While in London the British government wanted proof that Seretse was the people's choice back home. British Parliament instigated an investigation to determine whether Seretse was fit and suitable to rule, claiming that any succession was in their interest. The investigation proved Seretse was 'eminently fit to rule', however, this report was never disclosed for 30 years. Since Botswana was a protectorate under Britain, South Africa exerted pressure on the British government to have Khama removed from his chieftainship. The UK had been known to have an interest in the large deposits of gold and uranium in South Africa, that could help offset Britain's debt from the world war. Most notably, there was fear that South Africa might impose sanctions on Bechuanaland or even make military incursions into the country, an unwanted war that could draw Britain once again into battle. Thus, Britain acceded to South Africa's call to dethrone Khama from chieftainship, and declared him an exilee to England from Bechuanaland in 1951. 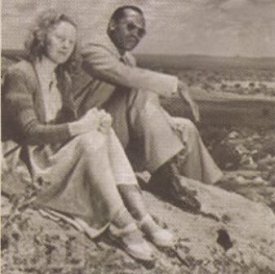 It should be noted that ever since the marriage took off in 1948, Seretse Khama had hit headlines as a black man who married a white English woman during the time when the social and political climate was not supportive of interracial marriages, especially in the context of apartheid practice in South Africa. When the couple was barred from visiting Bechuanaland, and Khama dethroned, the world transformed their admiration for the pair into anger at what was perceived as persecution for the innocent Seretse and Ruth by the British Government and the apartheid regime of South Africa. International press expressed outrage forcing Britain to re-consider its stance on the matter. In addition, various groups protested against the British government holding it up as evidence of British racism. In Britain there was wide anger at the decision and calls made for the resignation of Lord Salisbury the minister responsible at the time. When the British High Commissioner to Bechuanaland ordered the Bamangwato to replace Khama they resisted instead demanding that their kgosi be returned. They cabled the queen to ask for the return of their chief; in addition, there was a deputation of six Bamangwato elders who travelled to London to see Khama and lord Salisbury, in an echo of the 1895 deputation of three Bamangwato kgosis to Queen Victoria. Britain asked both Seretse and Tshekedi to sign undertakings to renounce their chieftainship and live in harmony. Khama bowed to the request, and in 1956 he and and Ruth were allowed to return to Botswana as private citizens. As for Tshekedi, he died in London on 10th June 1959, but was buried in Serowe. 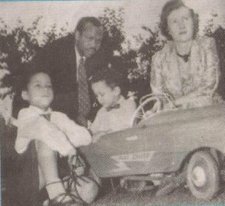 Seretse and Ruth returned to Botswana, and this time with another child who was already three years old, and this was the first born son Ian Khama born on the 27th February 1953. At first when the couple was back home in Serowe, Seretse maintained a low key life as he stayed away from political activities. He led an ordinary life as a farmer occasionally participating in local politics. However, the six-year tenure in exile had nurtured a resounding political acumen which effortlessly escaped his guard. From 1957 Seretse participated actively, still as a private citizen, in the reform of local and territorial government that led to the establishment of a Legislative Council as key steps towards decolonization. In 1958 he betrayed a visionary character in him when he commented in a meeting of the joint advisory council which was dominated by representatives of the white settler community and dikgosi (chiefs). It was felt that both of these groups had no interest in democratic reform and even saw Botswana's future as being best served by joining the then white settler dominated federation of the Rhodesias (Zambia & Zimbabwe) and Nyasaland (Malawi). "I think it is time that we ourselves in Bechuanaland, who neither belong to the Union of South Africa nor the federation, or any part as far as I can see, except Great Britain, should formulate a policy of our own which is probably unique to us." This he said to rebut a proposal to consider the protectorate's association with the federation. And this position laid the foundation for what Botswana turned out to be. This was the same year Ruth had two children Tshekedi Stanford and Anthony Goitsebeng Khama who were twins. He played this role of a back-row volunteer for a while, that is between 1957 and 1962, but it was becoming apparent that he was leading from the back. Unfortunately at around the same period ill-health began to affect him. He was diagnosed with diabetes in 1960. Then he went into politics. 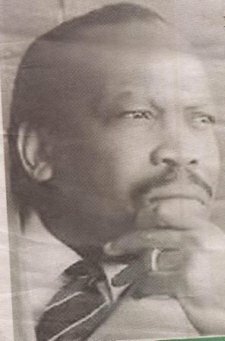 Having lost and renounced his chieftainship he captured Batswana's heart as nationalist hero with his campaign for multi-racial reform; and when he went into politics he was an instant success. in 1962 he founded the Bechuanaland Democratic Party whose main goal was to call for the reform leading to a non-racial independent republic and this won BDP overwhelming support. The elders in Bechuanaland pressed Britain seeking independence, and this was granted in 1964 paving way for the first political elections in 1965. BDP won the first elections and Seretse became the first prime minister and made Botswana an independent state in 1966. After independence when Bechuanaland was re-named Botswana he became the first president of Botswana. With the new installation, Botswana had gone full circle by undergoing change in governance from chieftainship, then colonial administration to finally political government. This meant that in establishing Botswana as a democracy the powers of traditional chiefs had to be curtailed. The country went onto conduct elections every five years since 1965. During the same year Queen Elizabeth II appointed Khama Knight Commander of the most excellent order of the British empire, and was known as Sir Seretse Khama. He went onto serve in four consecutive presidential terms. At the time of independence the only commodity of note that Batswana had was livestock. Hence the beef industry was used to establish the economic groundwork of Botswana. Then... there was the discovery of diamonds; and mining began in earnest. More explorations, more mining and the discovery of other minerals; the economy grew under the stewardship of Seretse Khama. Botswana had the fastest growing economy between 1965 and 1985. The president was known for keeping high principles, upholding liberal democracy and non-racialism in the midst of a region embroiled in racial tensions. The country invested revenues in infrastructural development, education and health. As Botswana progressed Seretse turned more attention to foreign policy and found key allies in President Kenneth Kaunda of Zambia and Julius Nyerere of Tanzania - further entrenching his pan Africanist view to life. He was one of the front-line presidents who negotiated the future of Namibia (formerly South West Africa) and Zimbabwe (formerly Rhodesia) from the colonial rule. He articulated a clear vision of the future of southern Africa after colonialism - as a peaceful, democratic and prosperous region. Hence he was instrumental in establishing the regional block now known as Southern African Development Council. The body launched in April 1980 has established its headquarters in Botswana. During the same year Zimbabwe gained independence. 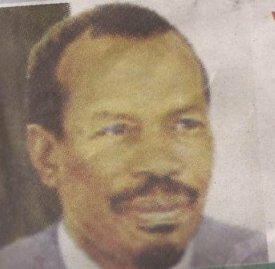 Seretse Khama died on 13 July 1980 at the age of 59. When he died the country came to a standstill. Batswana had known no other political leader before, so a political vacuum had been created. He was buried in the Khama family graveyard on a hill in Serowe. After his death Ruth focused her attention on charity work and became president of Botswana red cross. This she did until her death on 22 May 2002. She had equally served Botswana with distinction, because she was at all times by her husband's side when he faced challenges before the political role and when she was first lady. Ian Khama followed in his father's footsteps by becoming the fourth president of Botswana when he took office in 2008. Seretse is remembered well for his intelligence, integrity and a sense of humour. His lasting legacy is perpetual democracy, socio-economic development, political stability and unity. Most significant, Seretse is the father of democracy in Botswana and Africa. He said in parliament in 1978, 'democracy like a plant does not grow or develop on its own. It must be nursed and nurtured if it is to grow and flourish'. Botswana has set aside 1st July as holiday in honour of Seretse Khama. This is his birthday and the day is referred to as 'Sir Seretse Khama Day'. But he is simply known as Botswana's founding president. He inherited an impoverished and internationally obscure state from British rule, and left it a democratic and increasingly prosperous nation.